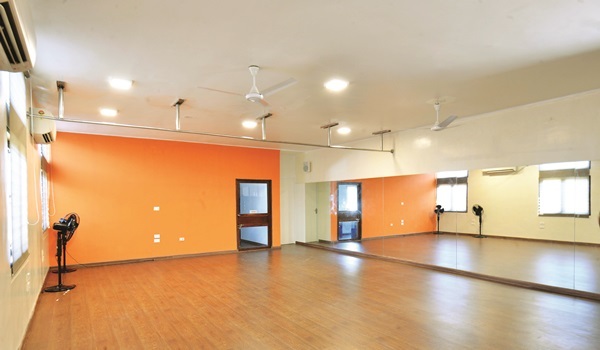 Spin Dance Studioa��s newest address in Neelankarai is not a regular gym, ita��s a boutique. Not because of its well-qualified and fully-certified trainers or because it provides exclusive, flexibly-timed classesa��but for its variety of aerobic fitness regimens such as Taekwando, pilates and TRX, which are offered in addition toA� their mainstream dance lessons. Throwing in Zumba sessions with hip-hopper Saravanan, Vinyasa yoga with Prakriti and Urban Tumbling (level one gymnastics) classes for children, therea��s something for everyone. The studio caters to children as young as four (in groups of up to 20), and encourages friendships between students and teachers. a�?We want to know our students so we can tailor fitness programmes to their abilities. We want to enable self-improvement without the risk of injuries,a�? says Rosie Liebe, a German mat pilates expert who is in the city exclusively to teach at the studio. Quality is top priority here, and when youa��re taught by the likes of Liebe, it will certainly make a difference. With over nine years of experience to her name, and having founded the highly-coveted Body Praxis in Oakland, California, it is clear she knows her stuff. In fact, she has more qualifications than you can count on one hand, including an in-depth understanding of NeuroKinetic Therapy and Z-Health practice (two forms of exercise that improve the connection between the body and brain, to maximise physical performance and healing). And one of her main aims is to get her students to appreciate fitness. a�?Exercise shouldna��t be a chore, it should be something a person enjoys,a�? insists Liebe. The other two instructors have clear-cut goals, too. Like Balaji Badrinarayan, the owner (and 2011a��s runner-up at the Asia Pacific Dance Competition), for whom ita��s all about following the Australian syllabus while teaching jazz, ballet and contemporary dance. With a teachersa�� diploma from the Commonwealth Society of Teachers Dancing, heA� focusses on technique, which he feels is lacking in other dance studios here. And for Chennaia��s top black belt-holding Taekwando master, Younngeun Yang, instilling discipline and respect in his students ranks higher than physical training. a�?When you respect each other and the sport, you develop a clean and humble soul, and that is very important in the development of a progressive society,a�? says the surprisingly soft-spoken South Korean. a�?Wea��re trying to create a fitness community,a�? adds Liebe, as she looks out at the picturesque garden outside, stating, a�?When you exercise with an intimate community, it allows space for positive growth and relations with others.a�?